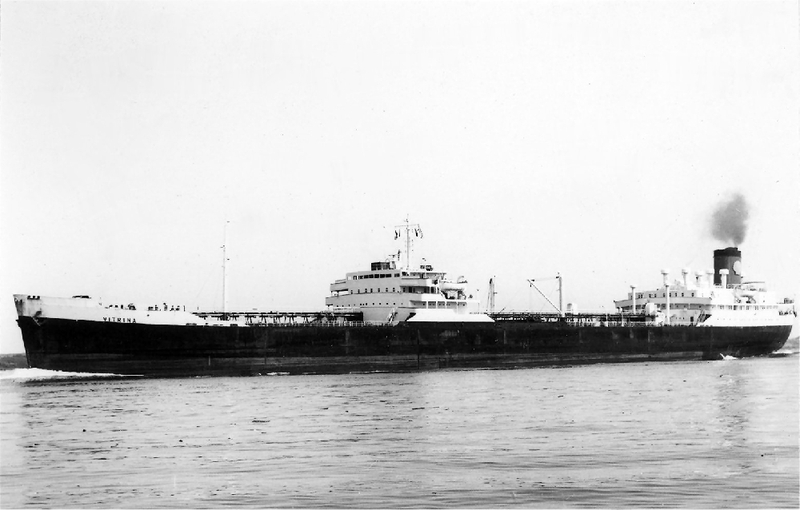 Completed 1957 as Vitrina for STUK. 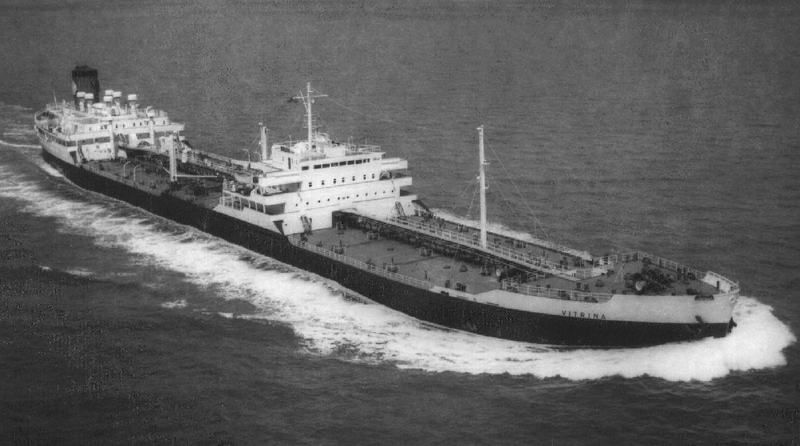 1974 sold Independent Shipping Singapore and renamed Cherry King. 7-6-1978 arrived Kaohsiung for scrapping. Imagine, Ivan the Terrible and Black Morgan on the same ship !!!! Thank you Alec Provan for saving my sanity. My first boat out of Gravesend training. 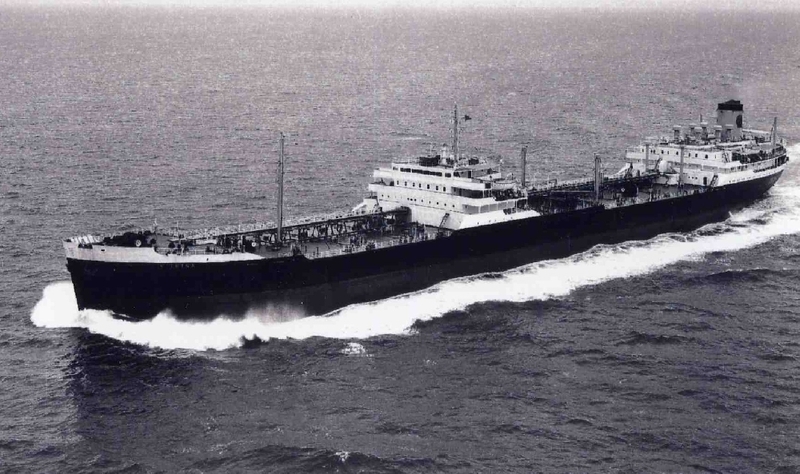 My lasting memory is in 72-73 sailing from Singapore to New Zealand, when we hit a storm and started taking in water. Never did get to NZ (then or since) as we had to limp back to Singers for repairs.I didnt realise until looking up this site that the boat was so old and nearing the end of its days. We were in Sydney harbour and the harbour master reported an oil slick around us, so we spend 2 days over the side applying 5 minute epoxy around the rivets to stop the oil from leaking out. A 6 month voyage from Rotterdam to a buoyed pipeline in The Gulf, via The Cape on one boiler at 6 knots, and a similar return to Fawley, with the only sight of land being the Straits of Hormuz, persuaded me that there must be better ways of spending my life than beibg a tanker-man. Have you sailed on Vitrina? Log in and add yourself as a sailor to the Vitrina! Log in and add your personal story to the Vitrina!